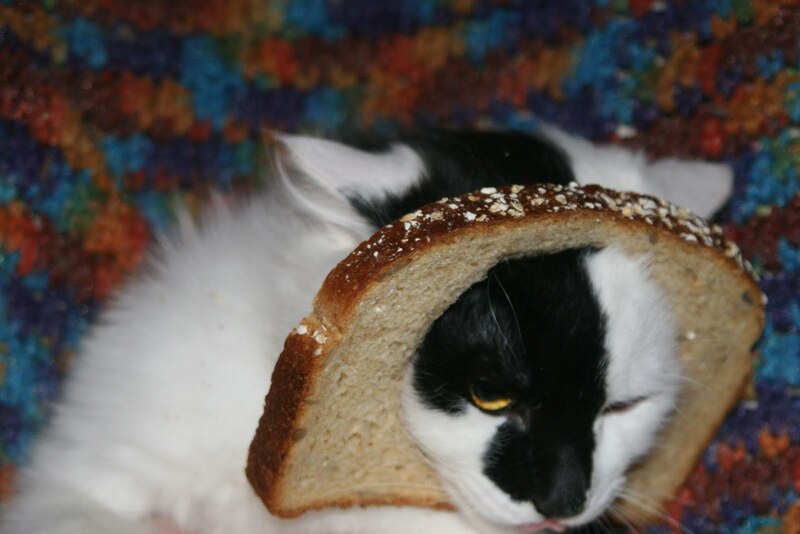 What does it say about a society that garners great pleasure from putting loaf bread on a cat's head? We do not have the answer but we do have these cute pictures!! 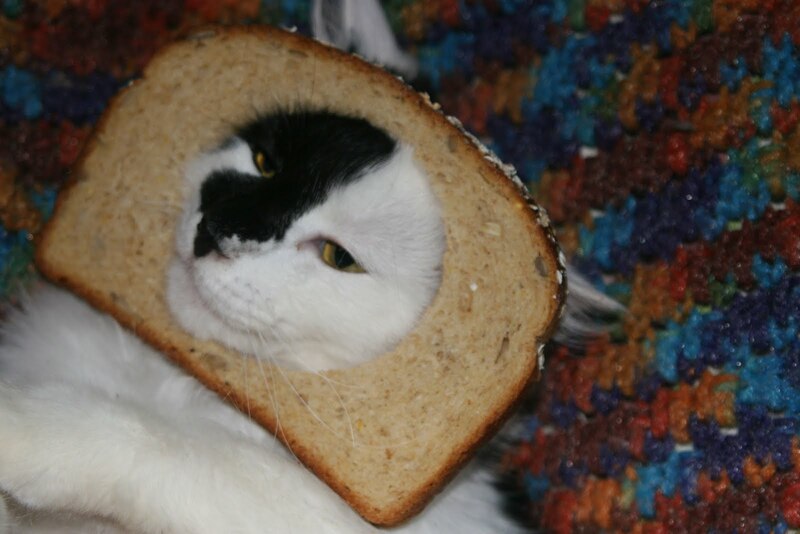 Let me just say that Teddy is thrilled that there are new cats to suffer the indignities of humans. 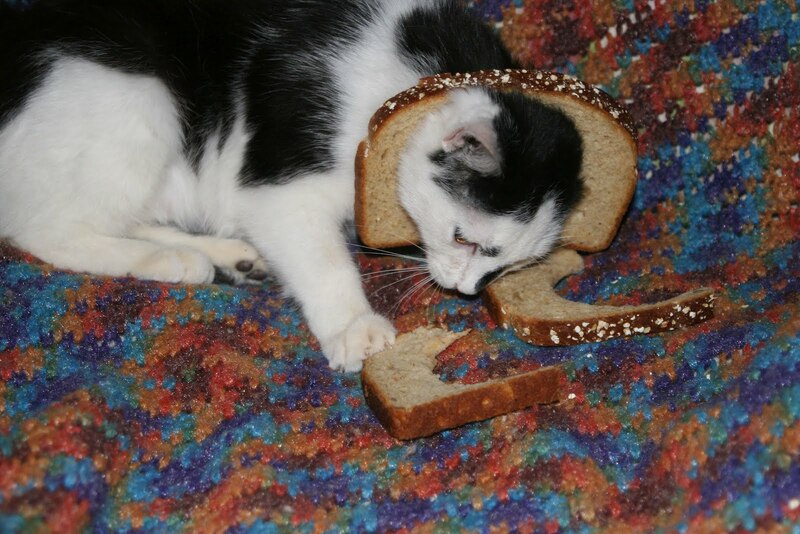 Treat seems much more interested in eating the bread than wearing it. In fact, Trick, too, was willing to wear a slice of bread if she got to eat it after. 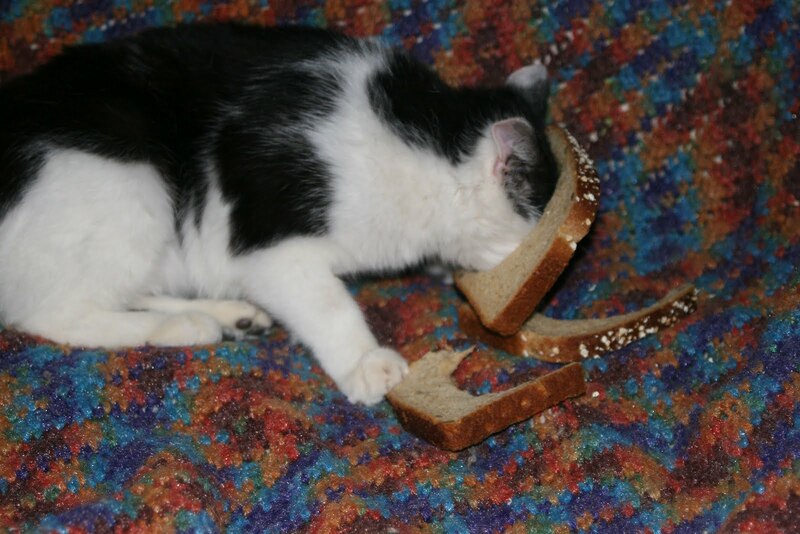 And, yes Virginia, there is a web site that is totally devote to cat breading. 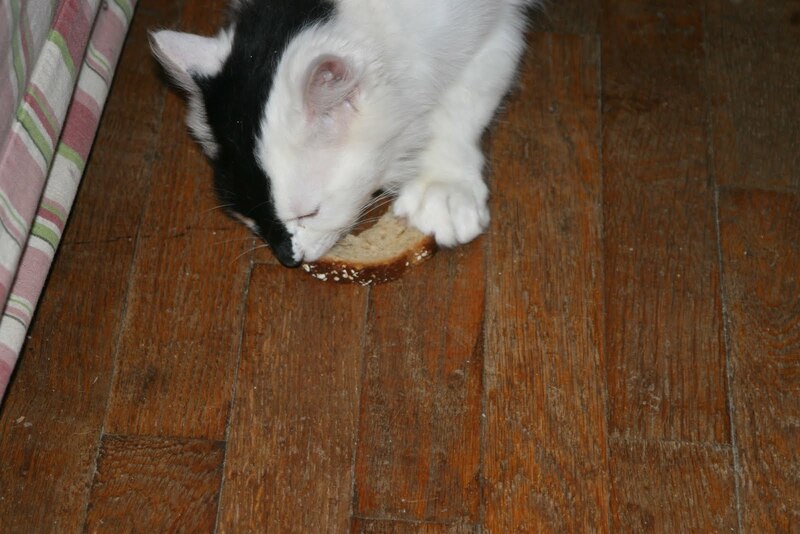 Cats and pulled pork...two favorite things. Thank you. And you weren't kidding about the "cat breading" web site! 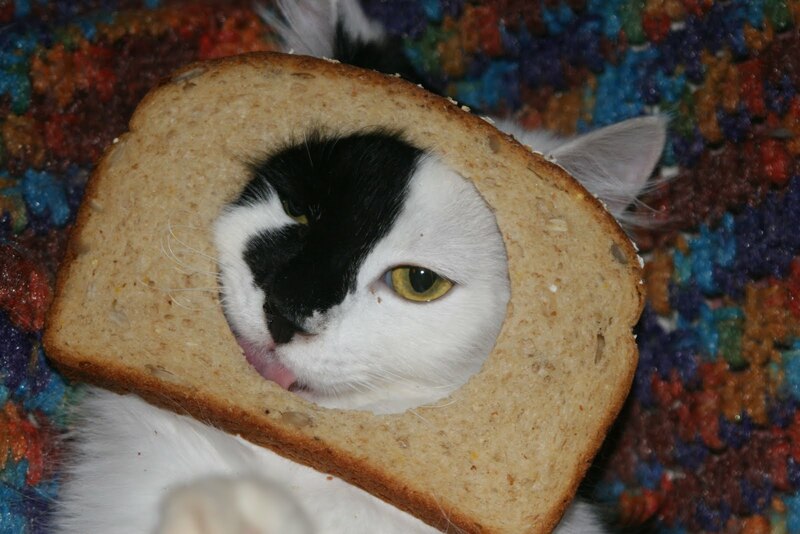 This new meme is a nice distraction from the republican primaries. 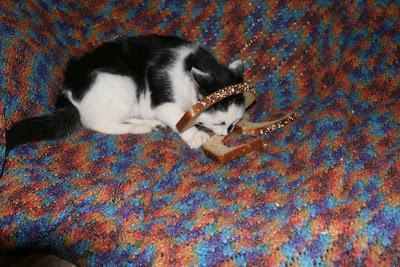 Check out this tutorial "Cat Breading". It's worth a look, and a good laugh. The first photo looks like Fornasetti's muse Lina Cavalieri...or should that be Catalieri? Catalieri and I would like to live in columnist's house.